Identify worker training under the applicable Acts and Regulations (WHMIS, First-Aid, CPR, identification of hazards and other organizational needs). Identify certification, trade and JOHSC certification and specific training (confined space, scaffold erection, cranes, forklift, fall protection, and additional requirements). Review contractor and site supervisor`s responsibilities, ensure general health and safety rules are implemented. Conduct project health and safety tool box meetings, ensure subcontractors comply with health and safety guidelines. Ensure proper documentation is availabile for the following: Act and Regulations, certificates, MSDS, training certificates, permits, health and safety responsibilities are being met. 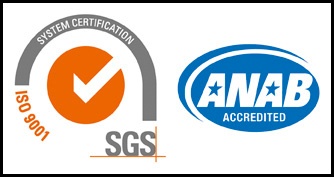 At Ennis Safety, Security & Consulting Group we develop systems in conjunction with the management team and employees to ensure that their company's standards are identified and met. At Ennis Safety, Security & Consulting Group we are able to develop a safety program and identify the systems to ensure it is implemented to meet the regulatory requirements. Let our Skilled and Certified Health & Safety Professionals help your organization. We are ISO 9001; 2015 Certified!